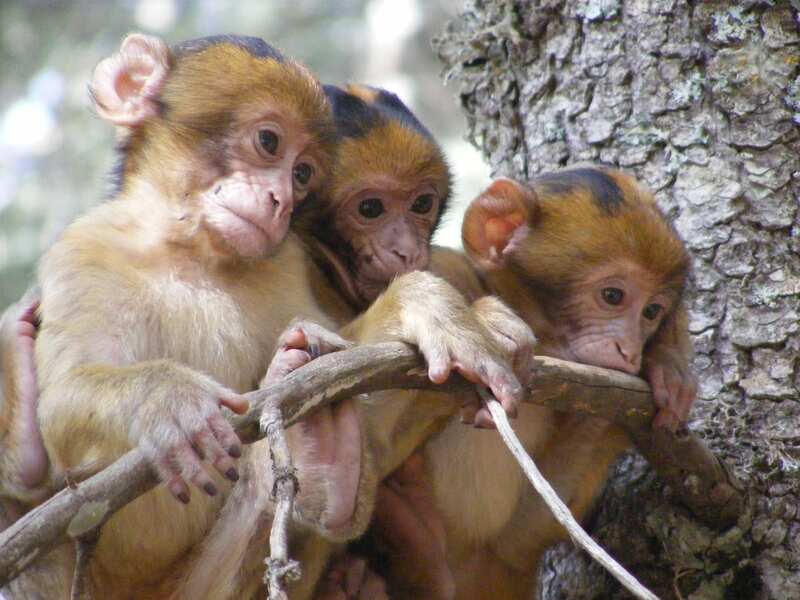 It’s nice to be back in Morocco and with the monkeys again after a couple months break in Germany. But sadly it’s only for a couple more weeks i will enjoy their company before i return to Germany and end my field work period of my PhD. I decided to give myself a challenge this week and cook for the Rakkas Family, who we rent our apartment from. 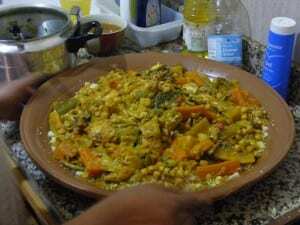 And not just cook any meal but heap the pressure on further and cook the most traditional of traditional Moroccan meals for a Moroccan family in their backyard. This meal is of course Couscous. A three to four hour marathon of steaming, boiling, pressure cooking and spicing. It’s an amazing dish full of Moroccan flavours and fresh vegetables and chicken. And to my great relief i got the thumbs up from the family. We all ate until we were bursting and there was still enough left for the next day. A kilo of couscous can go a long way! We often wonder what goes on in the forest when we are not there. The monkeys probably enjoy a welcome break from our prying eyes and scrupulous data collection. 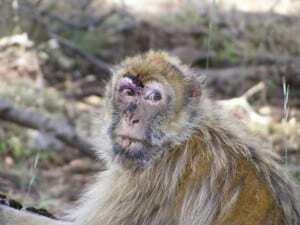 But last week when we returned to the Scarlet group after a couple of days away we saw Mao had suffered a bit. You see some injuries from time to time and the monkeys can look a little worse for ware but poor Mao had taken a sore one. Whether this is from a fight or some other adventure we will never know. But i am please to say Mao is looking more sprightly this week and is on the mend. ← The monkeys are under the spotlight! !